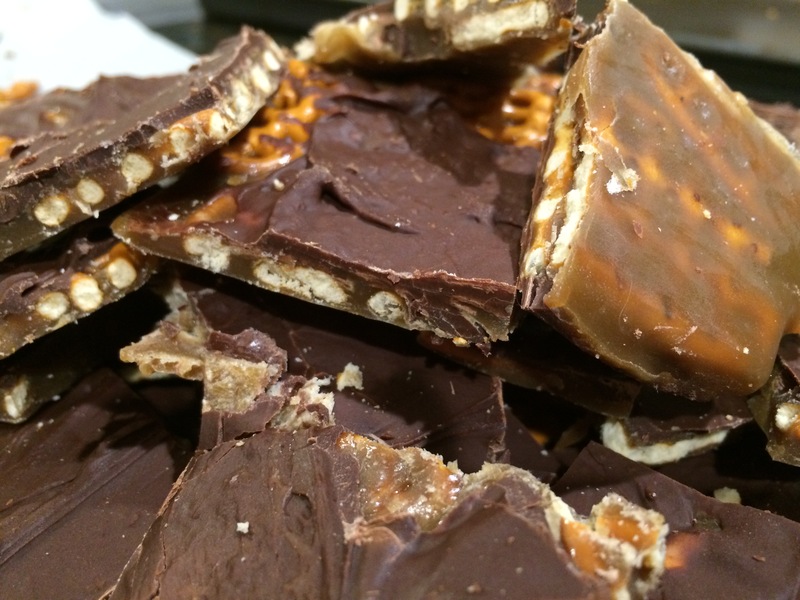 This entry was posted in Desserts and tagged chocolate pretzel bark, easy desserts, holiday food gifts by Mom Mom's Apron. Bookmark the permalink. I had to laugh at your comments about Favorite Facebook recipes! Generally, that is my impression, too. But this Chocolate Caramel Pretzel Bark looks fantastic. Your photo is mouth-watering! I’m saving this one. You can’t have too many easy holiday recipes, right? I really need to NOT make this again or none of my clothes will fit! Thanks Dawn. Your boys will certainly love this one!! YUM! I’m printing this recipe now and will be making this weekend. Hope you’re well! 🙂 Happy Holidays. Sarah W.
Thanks, Sarah! Nice to hear from you! A little late but we make this with saltines and call it “crack” because it is so addictive. 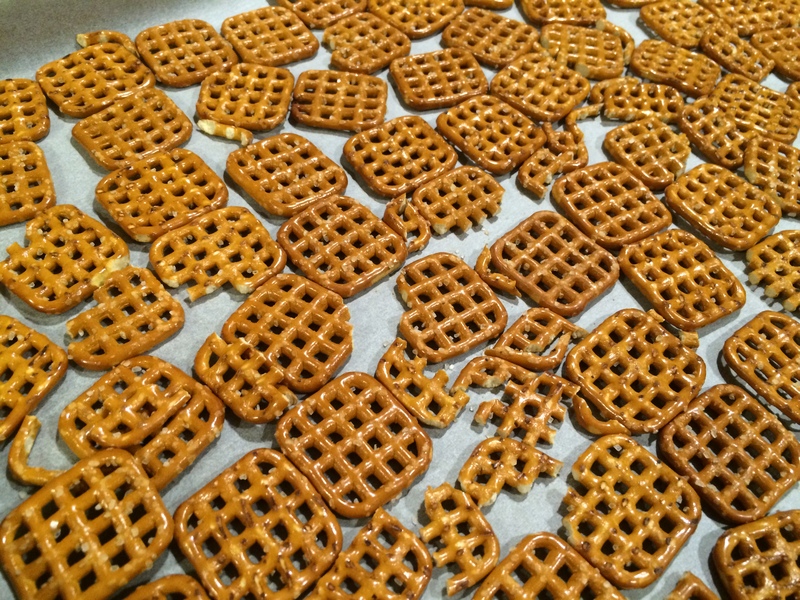 I bet they would love it with the square pretzels in four years…that is how long we will be in braces (2 years x 2 kids) and not allowed to eat this kind of stuff.